Usage/Application: Milk , Ghee etc. - An awesome piece of machinery, the Taj Pasteurizer is designed from state-of-the-art equipment and offers solutions for all your needs. Its commitment is true and efficiency is cent percent. Created to last, this piece of engineering brilliance has options to suit all needs. 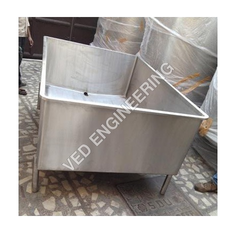 Pasteurizer VAT is aim to make destroy bacteria from milk, Ghee, Water & Creams. The Bacteria destroyed the by Making Product at Certain Temperature for Certain Time, Higher The Temperature Lower The Time. It is the ideal machine for mixing sugar, milk powder, cream and stabilizer for milk. 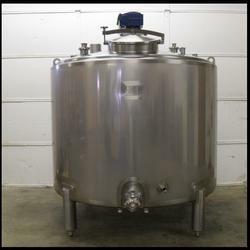 Leveraging the skills of our qualified team of professionals, we are engaged in providing Vat Pasteurizer. An awesome piece of machinery, the Taj Pasteurizer is designed from state-of-the-art equipment and offers solutions for all your needs. Its commitment is true and efficiency is cent percent. Created to last, this piece of engineering brilliance has options to suit all needs. TAJ SIGMA SALES SERVICE PVT. LTD.